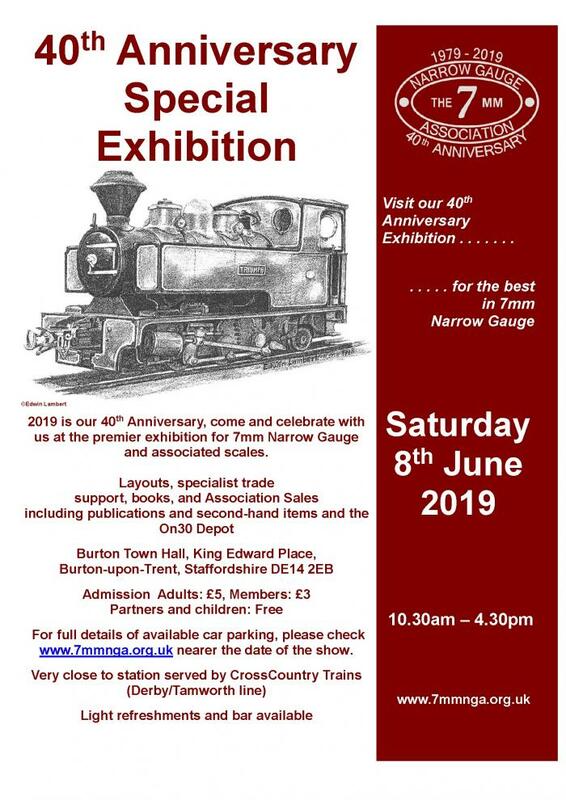 The 7mmNGA's 40th Anniversary Special Exhibition will take place on Saturday 8th June 2019, at the usual venue of Burton on Trent Town Hall, King Edward Place, BURTON upon TRENT, DE14 2EB. This is organised by the Trent Valley Group of the Association. Click here for a larger version of the poster below. 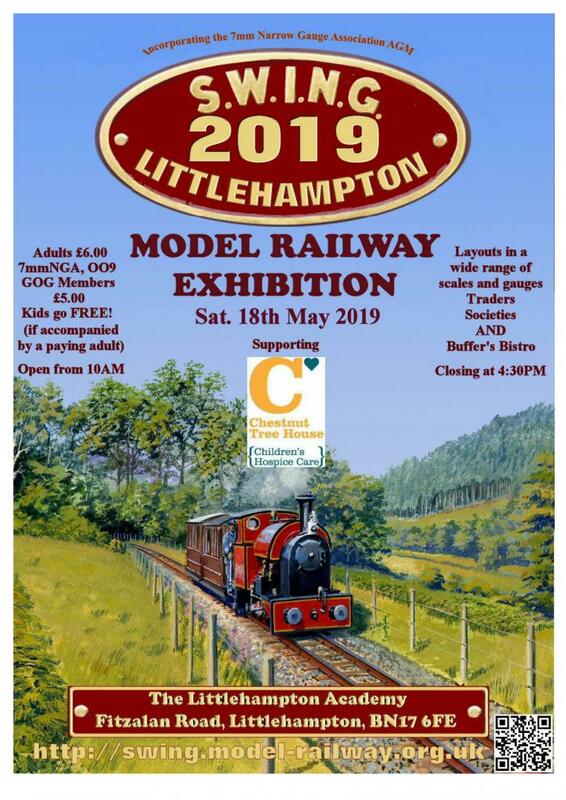 The AGM in this 40th Anniversary year will be held on Saturday 18th May 2019 during the SWING Exhibition at The Littlehampton Academy, Fitzalan Road, Littlehampton BN17 6FE. The SWING Exhibition is organised by the South Downs Group. Click here for a flyer with full details of location and how to get there. We hope that more details of both events will be posted here in due course and both groups look forward to seeing you at the respective events! The AGM details and papers will be sent to members with Narrow News as usual.